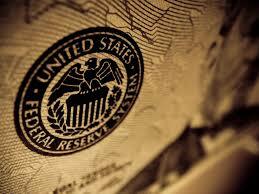 Fed: Which lever to pull? Fed Governor Lael Brainard spoke about the normalisation process of central banks, and her comments on the US were on the dovish side (that said, she is considered a “dove”), notes the research team at ANZ. “She noted that, currencies will be more sensitive to interest rate moves compared to balance sheet normalisation. In terms of her current views, she said that “…. I consider normalization of the federal funds rate to be well under way. If the data continue to confirm a strong labor market and firming economic activity, I believe it would be appropriate soon to commence the gradual and predictable process of allowing the balance sheet to run off. Once that process begins, I will want to assess the inflation process closely before making a determination on further adjustments to the federal funds rate in light of the recent softness in core PCE (personal consumption expenditures) inflation. In my view, the neutral level of the federal funds rate is likely to remain close to zero in real terms over the medium term. If that is the case, we would not have much more additional work to do..."